Coca-Cola Beverages Africa (CCBA) is the eighth largest Coca-Cola bottling partner worldwide and the biggest on the African continent. We serve 12 countries in sub-Saharan Africa including South Africa, Kenya, Ethiopia, Mozambique, Tanzania, Uganda, Namibia, Mayotte, Comoros, Botswana and Zambia. We boast a diverse pan-African footprint with more than 30 bottling plants serving over 600,000 outlets across the continent. CCBA employs more than 16,000 people and enjoys the number one market position in all of our 12 territories. CCBA is pursuing an ambitious growth strategy that is aligned with The Coca-Cola Company’s 2020 Vision and will be supported through investment in manufacturing, sales, distribution and marketing. We aim to be the leading Coca-Cola bottler in Africa, delivering profitable and sustained growth through increased availability and access to Coca-Cola beverages across Southern and East Africa. 1. We will take advantage of the opportunities presented by the favourable economic and demographic trends in Southern and East Africa where per capita consumption of soft drinks still lags that of other emerging markets. 2. We will leverage our scale in South Africa, which accounts for half of CCBA’s workforce and 69% of its volumes, to compete effectively and accelerate growth. 3. We will build the fundamental capabilities we need across our Southern and East African operations to accelerate sustainable growth in these markets while remaining ready to support further consolidation efforts. Our goal to build a stronger business can only be achieved through the support and long-term prosperity of our customers. A stronger, more successful Coca-Cola system in Africa will create greater shared value for the business as well as the communities we serve across the value-chain through job creation, skills development and support for small-to-medium sized enterprises. By focusing on accelerating growth and social development in our value chain and making clear commitments on waste, energy, water and land use, we are leading the way as a responsible business in Africa. Equally as important are our employees who are at the heart of our business. We are committed to investing in their growth and development to ensure that they are empowered to enhance their skills and capabilities. 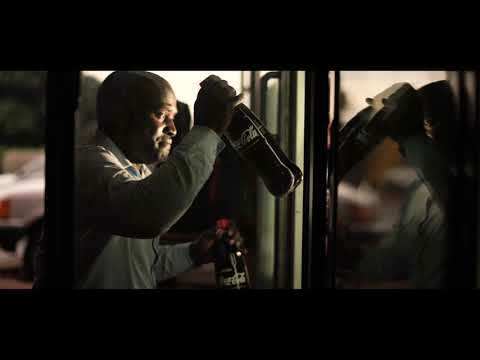 In late 2014 the Coca-Cola Company and SABMiller plc reached an agreement with Gutsche Family Investments (GFI), the majority shareholder of Coca-Cola Sabco, to combine the bottling operations of their non-alcoholic ready-to-drink beverages businesses in Southern and East Africa. This partnership between two of the world’s most prominent beverage brands along with their emerging market bottling partners made for a compelling business proposition. This was recognised by South African regulators when they approved the merger in October 2015. CCBA began operating as a legal entity later that year/early the following year. 1. SABMiller’s Coca-Cola bottling franchise (ABI) and its Appletiser bottling businesses in South Africa, together with its soft drinks businesses in Comoros and Mayotte, as well as its water businesses in Ethiopia, Kenya and Uganda. 2. GFI’s Coca-Cola Fortune in South Africa and its other African Coca-Cola bottling businesses in Ethiopia, Kenya, Mozambique, Namibia, Tanzania and Uganda. 3. The Coca-Cola Company’s South African soft drinks bottling businesses, Coca-Cola Canners, Valpré, and Coca-Cola Shanduka Beverages. In Phase II, it is intended that SABMiller contributes its Swaziland soft drinks bottling business. The combined footprint of the African bottling interest of Coca-Cola and SABMiller, coupled with the on-the-ground expertise of the SABCO and Shanduka businesses which have shown deftness in understanding and growing in emerging markets, resulted in a more streamlined and efficient Pan African bottling operation. This enables CCBA to best serve its consumers and communities in Africa through greater variety, broader availability and better value.